The other 11 countries represented at “Brave 17” are Afghanistan, Bahrain, Brazil, China, France, Ireland, Kuwait, New Zealand, the Philippines, South Africa and Wales. The only fighter to represent France in the upcoming MMA event in Lahore is Abdoul “Sinistro” Abdouraguimov, 23. Fighting out of Nantes, France, Abdouraguimov is an undefeated fighter with 8 wins and 1 No Contest. He was born in Dagestan, Russia. 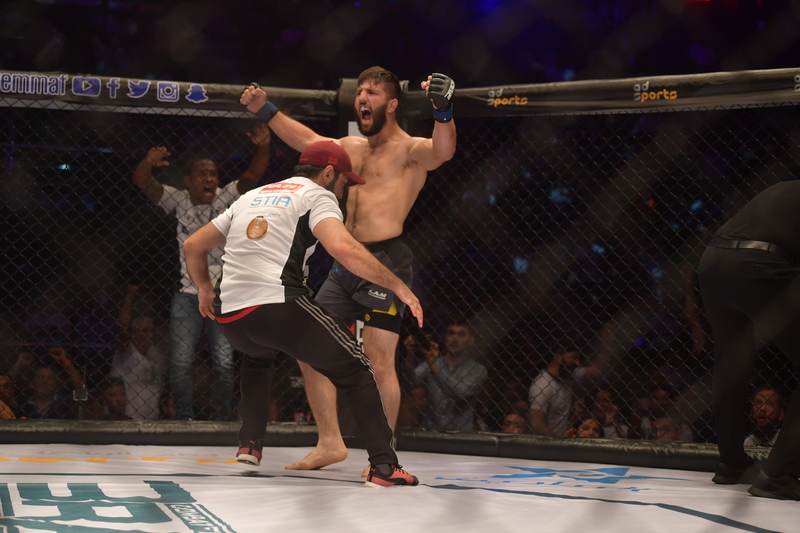 When Abdouraguimov made his professional MMA debut, he submitted Adrian Moreira via anaconda choke in the first round at “100% Fight.” The other opponents the French contender defeated before joining Brave CF were Sofiane Aissaoui, Gae Grimaud, Nayeb Hezam, Aliko Sagliani, Tanausu Ruiz and Viscardi Andrade. “Brave 17” will mark Abdouraguimov’s second Brave CF bout. When he made his promotional debut at “Brave 14” on August 18, 2018, he knocked out Sidney “The All-American Kid” Wheeler, 21, of Georgia, United States in the welterweight division. In the main event of “Brave 17,” Abdouraguimov will face Rodrigo Cavalheiro, 35, of Curitiba, Parana, Brazil. They will battle it out in the welterweight division. Cavalheiro currently holds a professional MMA record of 23 wins and 7 losses. He is coming out two consecutive wins in Brave CF. In the co-main event of “Brave 17,” Uloomi “Kratos” Karim Shaheen, 27, of Islamabad, Pakistan will compete in the bantamweight division against Jeremy “The Juggernaut” Pacatiw, 22, of Baguio City, Philippines. The Pakistani contender represents Team Fight Fortress while his Filipino opponent represents Team Lakay.